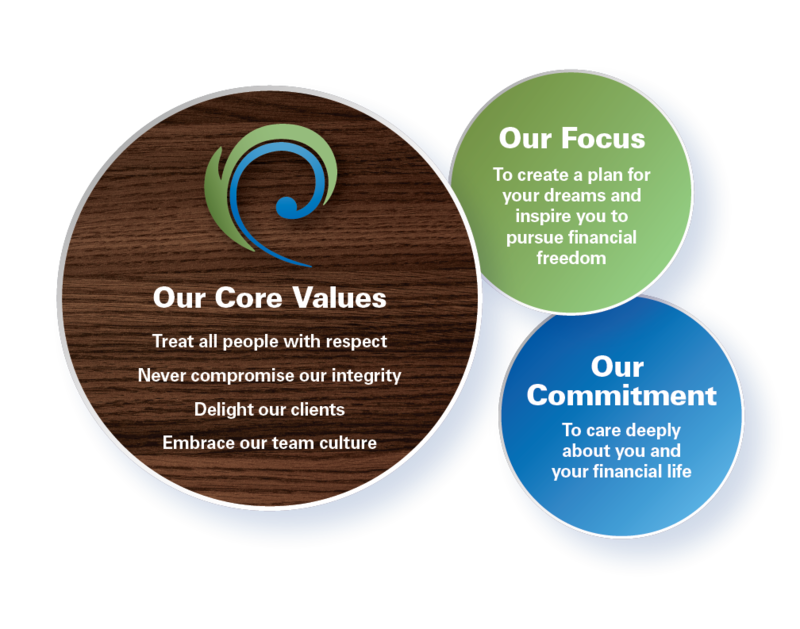 We are a diverse, professional team that is passionate about inspiring you to reach toward abundance in all aspects of your life. No matter where you are in your financial journey, we can provide the education, empowerment and guidance you need to pursue your financial goals for a successful, rewarding future. Personalized attention and intelligent recommendations tailored to your unique situation. A research-based wealth management plan that integrates investment services, tax reduction planning, retirement income and distribution strategies, and family wealth planning. Relevant, timely data and information to help you make informed decisions. Frequent communication throughout the year with regular account reviews, quarterly newsletters, educational events and more! Our staff consists of experienced professionals who are knowledgeable and truly care about creating a plan for your dreams. We do everything in our power to keep you focused on where you want to go, advise you on how to get there and continually remind you of the importance of maintaining a disciplined approach.